Now the scale of available betting markets is so vast in comparison to 10 years ago that an integrated sports statistics solution becomes more important for bettors to make decisions. Simply picking a name is decreasing their chances of landing a winner really, that’s why they will eagerly use sports stats to their benefit. When choosing a statistics provider, ensure they offer the most important stats to look out for in sports betting - form and head to head information as FeedConstruct Statistics does, providing their partners’ players with simple navigation from a competition section to head-to-head section and other functionalities. Well-established gaming and betting companies have long known how to use big data to increase customer engagement. Since customer retention is more difficult than acquisition, analyzing big data empowers you to understand their wishes and expectations and make data-driven decisions. Large technology and data providers like BetConstruct have a lake of big data which is used to help operators examine customer sentiment. It helps understand what impact your marketing campaigns have, and how these campaigns can be altered to target the segments you think important. In the same way that big data can enable operators to make informed decisions, it too can help your players (if you offer big-data-driven stats on your website) or, for example, fantasy sports players (daily fantasy sports providers create better measurements of performance that more accurately reflects what happens on the field) make data-driven decisions rather than trusting their gut feeling. 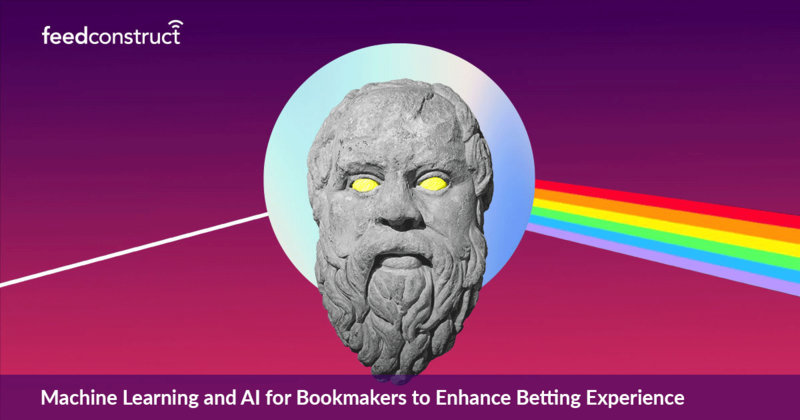 Gaming and betting businesses have recently started to explore what machine learning and AI can do, and once they are more familiar with the capabilities of these technologies, they will connect with bettors with more to offer than ever before. However, the reality is that the sharpest bettors have taken advantage of machine learning techniques to make money since 2011, when deep learning networks first started to become popular. Artificial Intelligence (AI) and Machine Learning (ML) are gaining popularity as they cover more areas within the sports domain. An example on the rise of this trend is Goldman Sachs’ analysis on the likely winner of the FIFA World Cup. The enthusiasm for AI spans beyond simple winner predictions and is extended to developing new tools and solutions for betting businesses. Recently FeedConstruct’s developers and analysts have teamed up to create AJNA to increase the accuracy of live scouting data. Enhanced with AI and ML, AJNA tracks the entire match including events like ball possession, danger, etc. and offers an extensive individual tracking like a player’s speed or distance run per match. Machine learning and AI are not used for sports data creation and analysis only. Machine learning has actively been incorporated into risk management strategies of lots of bookmakers. Simultaneously, AI is adopted for odds creation and calculation. Human traders cannot make use of vast sporting analysis data all the time while an AI odds maker can make hundreds of thousands of calculations per second, leaving their human counterparts in the dust. For any bookmaker fast-paced action, dynamic viewing potential and an engaging player experience across multiple channels are the hallmarks of success, and the success will be exponential when backed with big data, artificial intelligence and machine learning.